The Coppinger family were originally of Danish origins, for many generations were important in the Danish sector of Cork City and County. Thomas Coppinger supported the cause of the Catholic King James II. After the battle of the Boyne and the defeat at Limerick, and because of their loyalty to the King, four of the Coppinger brothers were found guilty of high-treason, and banished from Ireland. Thomas fled to France with his sons. 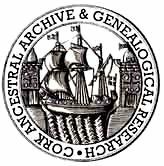 However, his sons, Stephen and John returned to Cork about 1700. Stephen, was friendly with Lord Barrymore, and succeeded in obtaining a lease of Barryscourt and Rossmore from Lord Barrymore. Here he built the old Coppinger mansion (three chimney house) in 1716, immediately on the south side of the Barryscourt Castle, Carrigtwohill, the remains of which have only recently been demolished. During these Penal days the Coppinger family harboured the hunted priests and friars. Down to recent times while the Coppingers and their representatives held these lands, they had in their possession a chalice, a crucifix, missal and vestments which were used in the Penal times at Barryscourt. The chalice was of silver and bore the date 1702. 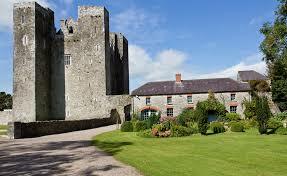 Thomas, son of Stephen, also eventually succeeded in recovering their former estates at Ballyvolane. Two sons of this Thomas Coppinger married Gould sisters, native of Cork. Stephen, the eldest son, was the grandfather of William Coppinger, Bishop of Cloyne. John, the younger son, was grandfather to Stephen William Coppinger of Midleton. Stephen William Coppinger bought Midleton Lodge from Marcus Lynch in 1818. His son Thomas Stephen Coppinger was a wealthy Midleton merchant. Another son was Fr William Coppinger, and was responsible for establishing the Presentation Sisters in Midleton. A third son, Edmund was Manager of the National Bank, Main Street Midleton. Another member of the this family was Elizabeth Coppinger of Barryscourt who in 1760 in defiance of the Penal Laws joined with Nano Nagle and five other Cork ladies in founding a Convent of the Ursuline order in Cork. She is buried in the South Presentation grounds alongside Nano.